Silver has long been viewed as an investment in its own right as an inflation hedge.It is also widely used in the manufacture of semiconductors, batteries, various nanotechnology applications, jewelery, photography, and in making solar photovoltaic cells. In California, solar generation is by far, the fastest-growing generation source. China is about to double the world supply of PV, and in 2015, installed as much again as the rest of the world. Now with the Obama Administration’s Clean Power Plan, even those states that don’t now have state level legislation driving solar adoption, will soon begin to grow as fast as California. And with the successful Paris Agreement at COP21, the world as a whole is making a decisive turn away from fossil energy and towards solar. These drivers are driving all renewables, but solar is dropping so fast in price that increasingly, businesses and utilities and homeowners are choosing solar. Why is silver needed to make solar energy? All metals have some degree of thermal energy and to some extent; electrical conductivity, but silver has the highest electrical and thermal conductivity of all metals. This characteristic make silver essential to the solar market. Silver is used to make silver paste, which conducts electricity out of solar cells. 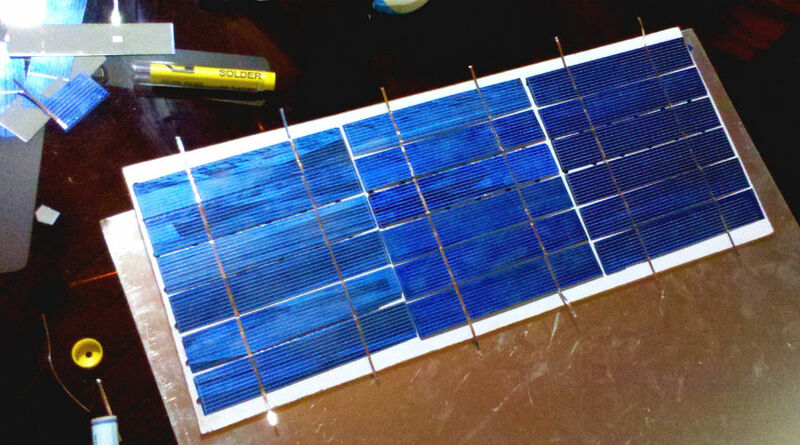 About 20 grams of silver are used in each panel to manufacture silicone solar panels – and this kind of panel represents about 85% of the market. Solar power in 2000 was a bit over 1 GW globally. In 2015 that was over 200 GW. Initially this extraordinary growth was driven by, in turn, first Spain, then Germany and then the other EU countries, which by 2010 accounted for 75% of the growth. Chinese manufacturers were quick to see a growth market and rushed to fill orders, in the process taking world leadership in high tech solar manufacturing – and creating a glut. This caused panel prices to drop precipitously, which led to more demand globally. With the eight year extension of the 30% Investment Tax Credit in the US, and the fast dropping solar panel prices from China – the US solar boom took off and grew 1,600%. With the surprise 2nd extension in 2015, this growth will continue. Seeing its propensity to create manufacturing gluts, in 2014, China decided to make a serious effort to absorb some of its own manufacturing excess domestically, beginning in 2013, with its first 18.6 GW installed. Add to that business need its recent push to cut its coal dependency, which has led China to raise the target for domestic renewables. The 12th Five-Year Plan set the stage legislatively and with state bank financing, to install 70 GW by 2017. Now the 13th 5-year plan ramps that up higher for 2020, to 150 GW. So, expect silver prices to rise.